If you’re social media-savvy, chances are you follow an influencer or two, either directly through their blog or via Instagram, Twitter, YouTube, Facebook, Pinterest, or another social media channel. In 2017, the keyword “influencer marketing” increased by 325 percent in Google searches, making it the fasting-growing online acquisition method of the year after organic search. An estimated two-thirds of marketing departments are looking to increase their budget for influencer marketing over the next year. Clearly, the trend isn’t going away anytime soon; in fact, marketers are expected to invest an average budget of $25,000 to $50,000 in influencer marketing campaigns this year. 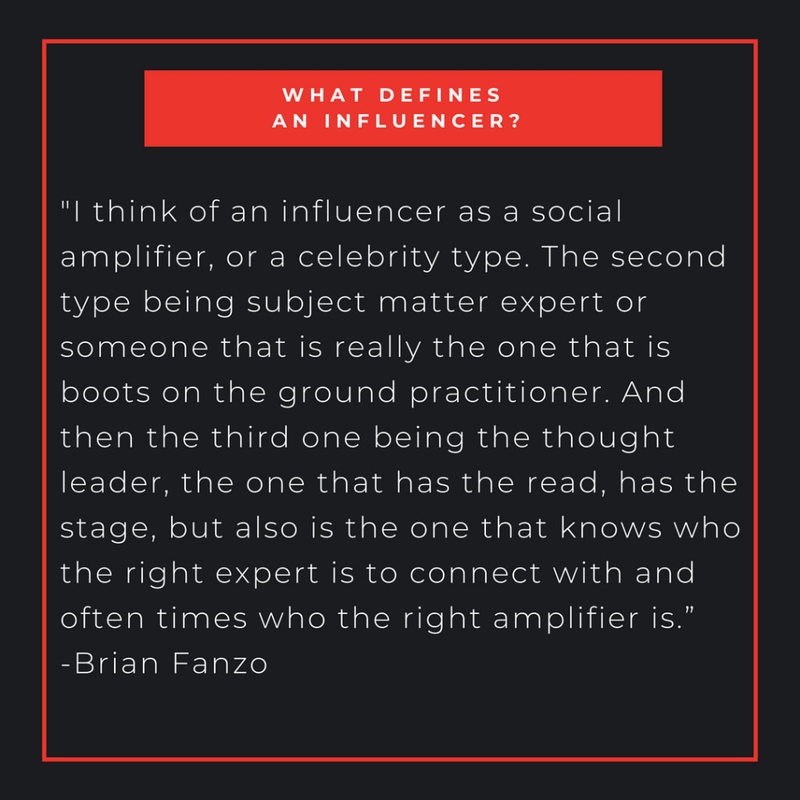 While celebrities also can take on the title, an influencer is typically a “normal” person who has a passion for something and shares that passion with the world (or, in this case, their followers). It could be anything: there are fashion influencers, food influencers, travel influencers, and industry-specific influencers such as these digital marketing influencers. Even pets can be influencers. 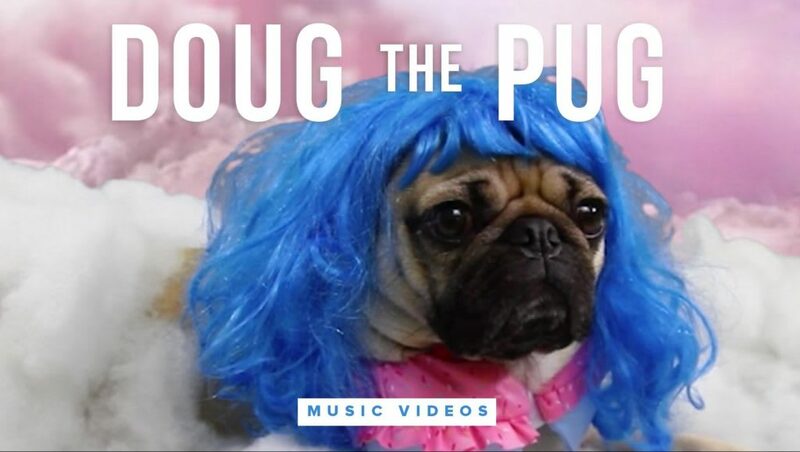 Doug the Pug, a 6-year-old dog from Nashville, Tenn., has 3.5 million followers on Instagram. He makes so much off of sponsored posts, his “momager” was able to quit her job and manage Doug as her full-time career. 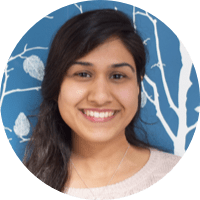 The idea behind influencer marketing is simple, and not unlike referral marketing: influencers have large, dedicated followings of like-minded people who trust their opinions. If an influencer recommends a product, their followers are likely to try it (or at least gain brand awareness). In exchange for this recommendation, influencers are either gifted products or paid (in some instances, quiet heftily). Yoga influencer Rachel Brathen commands upwards of $25,000 per sponsored post, while celebrity influencer Kim Kardashian can make six figures per post. What Do the Experts Think of Social Influencer Marketing? What Should Brands Look for in an Influencer? 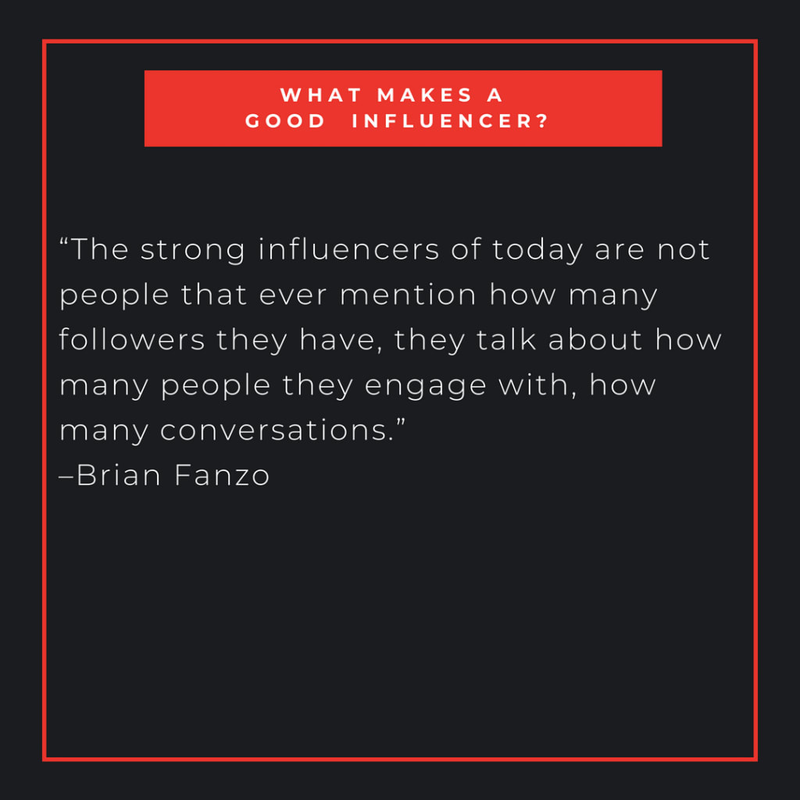 While some believe a good influencer is simply someone with a large following (more than 100,000), Fanzo thinks it’s a bit more nuanced. He believes the secret to finding a good influencer is in finding someone authentic, who aligns with your brand’s core values. Would they actually use your product and recommend it to friends? If not, find someone else. Likewise, a good influencer won’t want to partner with a brand whose product they don’t believe in. “I turned down the largest influencer offer I’ve ever received because the brand did not align with who I am,” Fanzo explained to Traackr. In order for an influencer campaign to be successful, it must be believable. Otherwise, it would not only be unsuccessful, but could tarnish the influencer’s reputation as well. When looking to partner with an influencer, choose quality over quantity. Go with the influencer who your target audience would most relate to, not necessarily the one with the biggest following. An influencer with 10,000 followers could be more effective than one with 100,000 if the audience resonates with him or her more strongly. Fanzo considers engagement–not followers–the key metric brands should look at when selecting an influencer to partner with. Why Does Social Influencer Marketing Work? In addition to being a form of referral marketing, influencer marketing is a form of subconscious marketing and is rooted in psychology. Whether it’s through subtle nods to specific products on your favorite movies and TV shows or via more overt product placement, the concept is nothing new. Did you ever notice how the judges on “American Idol” always drank Coke? That wasn’t a coincidence (and they weren’t actually drinking Coke out of those branded cups). Today, subconscious marketing has moved from television to social media, with Instagram as the largest platform. “Influencer” is now a full-time job, and 2017 saw 12.9 million brand-sponsored influencer posts. Influencer marketing is rooted in the psychological concepts of social proof, attractiveness bias, and social identity theory. For the most part, influencers are perceived as “the girl or boy next door.” They are relatable, and often share similar demographics and interests with their followers. Thus, influencer marketing is a form of peer endorsement. Studies show that peer endorsement can be explained by four key elements: trustworthiness, expertise, attractiveness, and similarity. As influencers typically specialize in one key niche, they are considered experts in that field, and thus trusted by their followers. As influencers have a large number of followers who actively engage with them, their expertise is further validated by social proof. Social proof “proves” that others value the influencer’s opinion. In terms of attractiveness bias, this is a strategy that marketers have been using for decades. In short, people like pretty people, and attribute positive qualities to them simply because they’re nice to look at. When you see an attractive person promoting a product, you form subconscious, positive associations about that product simply because you are drawn toward the person promoting it. Lastly, as influencers are typically everyday people, they’re relatable. People identify with influencers and could see themselves being friends. This ties into social identity theory. Social identity is a person’s sense of who they are based on who they hang out with, or what “group” they feel they belong to. If your best friend, who has similar taste to you, recommends a product, you’re likely to try it. Your friend’s opinion is worth more to you than a stranger’s opinion. Similarly, you value the opinions of people within your perceived group. So, if you relate to a particular influencer, you’ll be more likely to listen to their opinion–or, product recommendation–than you would be a stranger’s. In short, yes. Marketers see an average of $7.65 in earned media value returned from every dollar spent on influencer marketing. A recent study by Influencer Marketing Hub showed that in 2016, Facebook influenced 62 percent of consumer’s online and offline purchases, up from 52 percent the previous year. Swedish watch company Daniel Wellington gives a firm “yes” as well, and has been harnessing the power of influencer marketing for years. At the end of 2017, InfluencerDB analyzed more than 200,000 sponsored Instagram posts to determine the top-performing Instagram influencer campaign of the year. To determine the “best,” they looked at likes, comments, and earned media value. The winner? Daniel Wellington. This should come as no surprise to industry experts, as Daniel Wellington recognized the power of influencer marketing early on. It was one of the first brands to launch a robust influencer campaign, first with small influencers (known as “micro-influencers”) and Instagram contests, and later via partnerships with major influencers. In lieu of payment, the brand sent micro-influencers across the globe a free watch and asked them to post it on their social channels with the branded hashtag #danielwellington. They also provided a promo code so influencers could offer their followers a discount (and Daniel Wellington could track the success of the campaign). At the same time, these micro-influencers were promoting the brand across their channels, Daniel Wellington encouraged their followers to create shareable content via Instagram contests such as “Pick of the Day,” where followers were incentivized to post pictures of their DW watch with the hashtag #DWPickoftheDay. Winners of these daily contents were featured on the brand’s official Instagram page and given a free watch. Of the more than 1,700 brands InfluencerDB analyzed, Daniel Wellington had by far the most sponsored posts. In 2017, Daniel Wellington had seen so much success from influencer marketing that it expanded its budget significantly to bring in a few celebrities, including Kendall Jenner (92.7 million Instagram followers), model Lucky Blue Smith (3.3 million followers), and Japanese model and personality Rola (4.9 million followers). This content was not only used across social channels, but for owned media channels as well. While the brand brought in big names (with big followership), it did not neglect its usage of micro-influencers or #pickoftheday contests. Daniel Wellington’s influencer strategy is active year-round and increases for peak days like Black Friday and Cyber Monday. As you can see in the chart below, Daniel Wellington’s strategy is clearly successful from an engagement and brand awareness perspective and–as they topped the Fastest Growing European Company list thanks to a growth rate of 4,695 percent in the last three years–we can infer that its influencer marketing strategy has been pretty successful from a revenue perspective as well. Today, Daniel Wellington boasts 4.2 million Instagram followers and more than 1.8 million Instagram posts by both influencers and ordinary social media users with the branded hashtag #danielwellington. Some are sponsored, as you can see in the graph below, but others are organic, and engagement is on the rise. 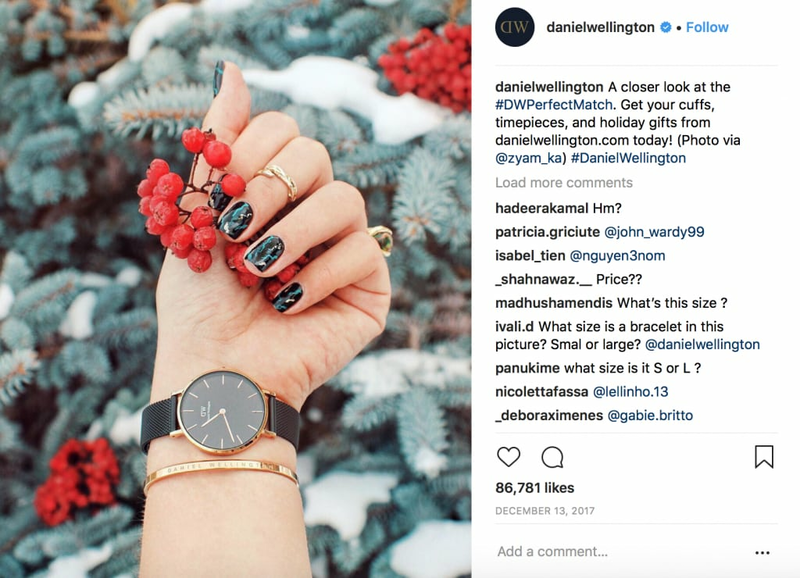 Don’t Neglect Micro-Influencers: Daniel Wellington recognized the power of micro-influencers early on. As competition for major influencers grows, don’t underestimate the power (and affordability!) of the little guys. Partnerships with five micro-influencers can be just as effective (if not more) than one partnership with a major influencer. Stay Authentic: Content marketing arose out of consumers’ need for authenticity. People were sick and tired of the constant barrage of traditional advertising mediums and embraced influencers because they offered more trustworthy reviews and opinions. In order for influencers to maintain a trustworthiness, they must only partner with brands they feel connected to and would legitimately recommend to friends. As marketers, use caution when partnering with influencers and only select those whom you feel truly fit your brand. Be Transparent—and Be Prepared for More Regulation: In 2016, the Federal Trade Commission (FTC) began cracking down on influencer partnerships. Their first complaint was against department store giant Lord & Taylor, which had gifted 50 “fashion influencers” with dresses and paid them to post Instagram photos of themselves wearing the outfits. The FTC claimed Lord & Taylor and the influencers had failed to disclose the payment, and thus this was deemed part of an advertising campaign. Shortly thereafter, the FTC went after Warner Bros. for failing to disclose that they had paid influencers to post positive reviews and videos of themselves playing the video game “Middle Earth: Shadow of Mordor” on YouTube and other social channels. Expect to see similar inquisitions and more self-regulation among influencers, including the usage of #ad and #sponsored in their posts. Expect (and Embrace) Better Tools: Facebook is not only a social platform but one of the most powerful advertising platforms available to marketers. There is no other ad platform with the same level of targeting and member insights. Instagram isn’t far behind. Expect new tools that will provide influencers with more powerful insights into their followers: a better understand of their demographics, deeper details on engagement, and more. Influencer marketing continues to grow and evolve. It’s a popular and effective method of reaching a targeted market, which often finds it more credible than traditional advertising. Credibility, attractiveness, relatability, and authenticity are a few key attributes for successful influencers, and marketers should care more about engagement metrics than simply the number of followers. This post was written by Leigh Kunis. 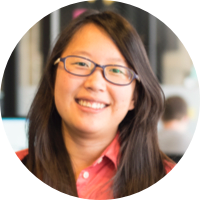 Based between NYC and Madrid, Leigh is a freelancer with a background in e-commerce marketing. 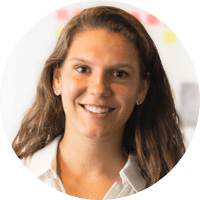 Having spent her career in startups, she specializes in strategizing and executing omni-channel campaigns. Interested in starting or growing your digital marketing career with the support of a mentor? 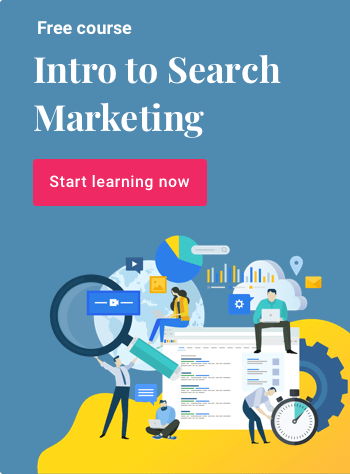 Check out our Digital Marketing Bootcamp—you’ll learn the skills and get the personalized guidance you need to land the job you want.